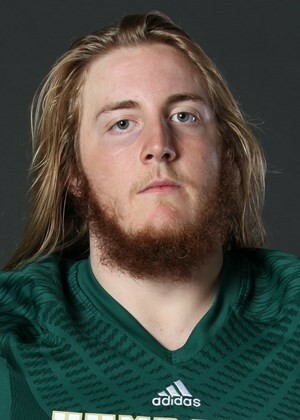 Humboldt State University offensive tackle Alex Cappa has been selected in the third round of the National Football League draft by the Tampa Bay Buccaneers, which traded up to get him, becoming the first HSU player taken in the draft in more than 25 years. The 94th player chosen overall, the 6-foot-6, 305-pound Cappa was a dominant force for the HSU Lumberjacks, earning Great Northwestern Athletic Conference Lineman of the Year honors each of his four seasons at HSU. HSU fans looking to get a glimpse of Cappa in the big leagues can look forward to Sept. 24, when his Buccaneers will square off with the Pittsburg Steelers on ESPN.